Hilltop Orchids in Cloverdale, Indiana is a destination that I’ve written about already but I had to share a few more images of this gorgeous greenhouse! Is anyone else ready to see something other than the gray of winter? I hear you. 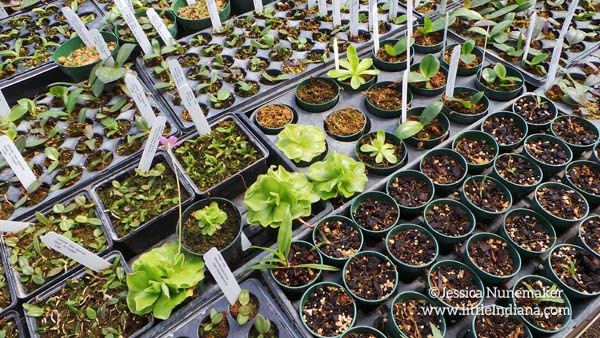 If you remember, I’ve already mentioned that there is more than 10,000 square feet of greenhouse space here. I’ve told you that you will find yourself surrounded by tens of thousands of orchids, many you won’t find anywhere else because of a thriving breeding program. They pride themselves on their award-winning specimens. 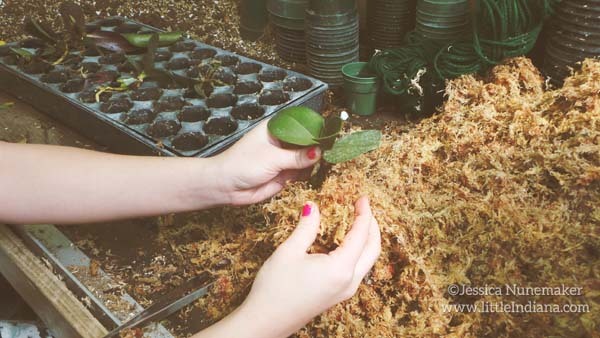 Since he’s been growing orchids since 1954, you could certainly say he has the experience! They can match you with an orchid to fit your skills. So, why haven’t you made the trip yet? The tables are on rollers so to navigate the aisles (or to create aisles), you simply give them a gentle push. They move to the side so you can make your way down to the end of the row. It’s a very efficient use of space! I wish this website could be scratch and sniff. 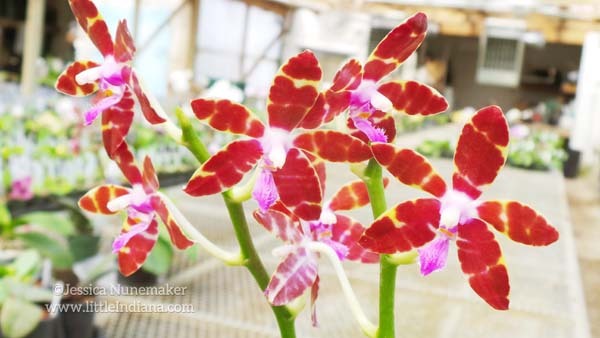 It is so fresh and green and fragrant inside Hilltop Orchids greenhouses. It was hard to tear ourselves away from the vibrant blooms and scent of spring. Really hard. 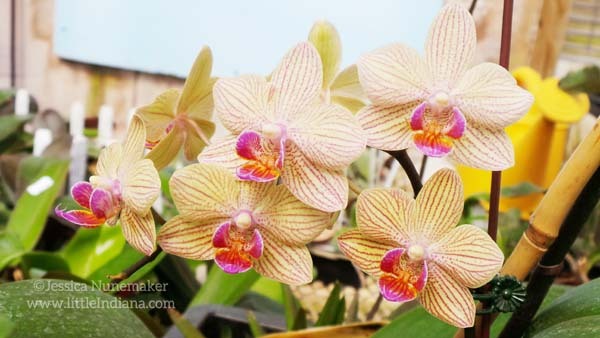 If you have been over there, please let us know what orchid you brought home! 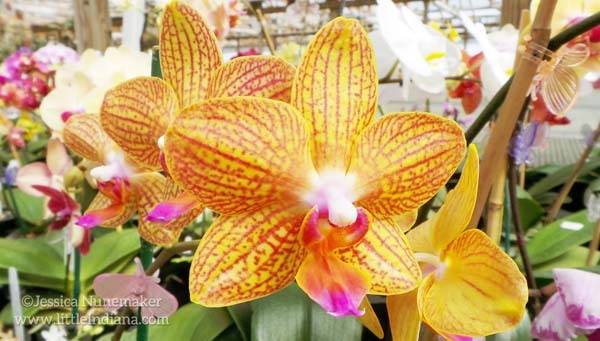 If you haven’t feel free to share your favorite color of orchid in the comments section below.